In an ongoing mission to keep this site functional and relevant, we will be making some minor changes to ARGN in the next few weeks. Most of which will go unnoticed by the untrained eye, but some will be evident. The content and focus of the site will remain the same. We have already implemented two changes — the move to a new version of our publishing software, and the addition of comments (time-limited and moderated) to our articles, which started on April 11. We appreciate your ongoing support as we tinker with the way the site operates — feel free to contact us if you have issues with the web site functionality. We’d also like to take this opportunity to recognize three new staff members who have joined us in the past month — Will Bagby, Marie Lamb, and Michelle Senderhauf. All three are long-time ARG community members with experience behind the curtain as game developers, and we are very fortunate to have them on board. Glad to see the addition of Michelle Senderhauf. She has been a favorite player in the VQC office over the years and has been an important contributor to the world of ARGs. 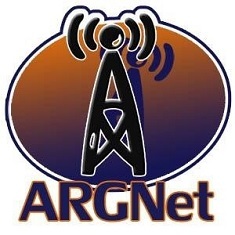 Kudos to ARGN for the acquisition. Welcome to Will Bagby, Marie Lamb, and Michelle Senderhauf!